Alphabet's stock rose to a new all-time high as the company's executives talked growth in Google Cloud, hardware and its massive ad business. Alphabet Inc. (GOOGL - Get Report) on Thursday smashed Wall Street's expectations for the third quarter. The tech giant proved that its business is only getting bigger and bigger. Earnings per share jumped 32% annually to $9.57, coasting past analysts' estimated $8.31 per share. Similarly, revenue surged 23% year-over-year to $27.7 billion, higher than the $27.2 billion analysts were expecting. Traffic acquisition costs, or what Google pays to get ads in front of mobile users, spiked 54% during the quarter, but Wall Street didn't seem too concerned about that, since its overall ad business continues to grow. Shares of the Google parent company were advancing 3% in after-hours trading on Thursday, hitting fresh highs of $1,022 a piece. The stock is up 25.1% so far this year, compared to the S&P 500's gain of 14.3%. To be sure, Google is first and foremost a digital advertising juggernaut, but it's not the only business that's generating revenue. 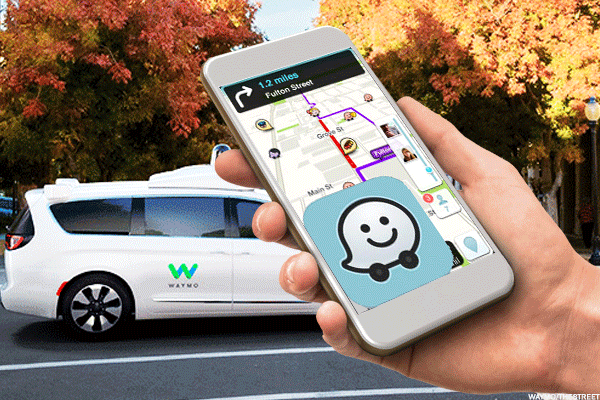 Google's "Other Bets" category, which encompasses its far-flung moonshots like Waymo, Nest, Fiber, Calico and Verily, saw its revenue increase 53% year-over-year to $302 million, while operating losses declined slightly to $812, from $861 a year ago. It's worth noting that Other Bets only make up 1% of Google's total revenue -- a sliver compared to its ad business, which raked in roughly $27.4 billion. Google has been criticized for the fact that some of the company's moonshot investments have continued to be money-losing bets, but Alphabet CFO Ruth Porat said she's pleased with the business' "ongoing progress" on the call. "A lot of the things we're doing are multi-year investments, and that's why we stressed repeatedly that we're looking at whether the long-term needs and opportunities that we can be addressing, if we're doing that well, we're delivering long-term revenue and earnings growth," Porat explained. "And those investments need to be seeded early for them to continue to grow and flourish around the globe." Google is still deadlocked in an ongoing war with other cloud providers like Amazon.com (AMZN - Get Report) and Microsoft (MSFT - Get Report) . The company's other revenue segment, which includes Cloud, Play and hardware, grew 40% year-on-year to $3.4 billion during the quarter. Google seems to be spending a nice chunk of money in order to keep that growth going. The bulk of Google's new hires in the third quarter were in cloud for both engineering and sales roles, Porat noted. Capital expenditures are expected to grow in the near term, as the company invests in technologies like machine learning, which contribute to things like the cloud, she added. The company is applying the same strategy that it's using in hardware to win in the cloud: machine learning and artificial intelligence. Where Amazon Web Services has strength in data and Azure benefits from Microsoft's range of services, Google is pushing its combination of hardware and software. "We already hear from customers that we have outstanding technology," Pichai said on the call. "So the reason we win deals in many cases is because we have superior technology and people also see the room ahead, thanks to a lead in machine learning. And that's an area where I think we'll continue to drive advantage." Google was a late bloomer in the hardware market when it released its first line of Made by Google products last year. Now it's embarked on a second act with the latest line of Pixel devices, released earlier this month. 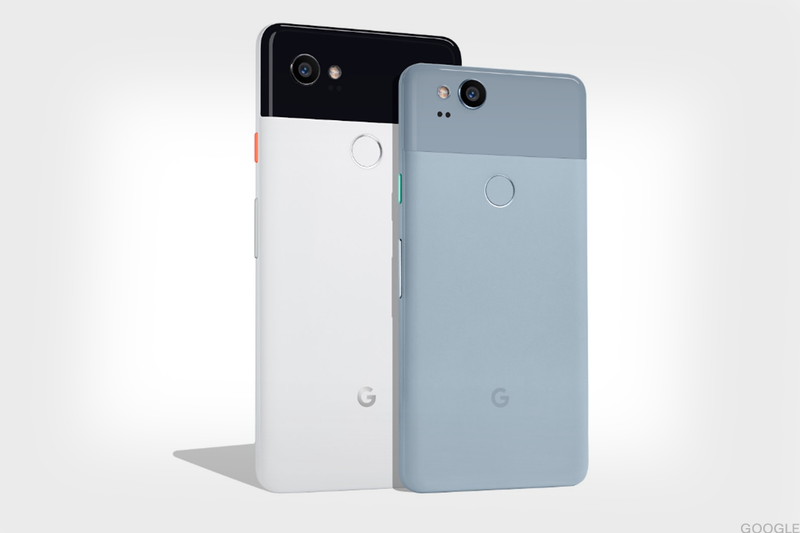 That move seems to be on its way to paying off, as Pichai noted that Google's new flagship smartphone models, the Pixel 2 and Pixel 2 XL are already seeing stronger sales compared to last year. Google doesn't break out Pixel phone sales, but its estimated that the company sold far less than 10 million in 2016. "Pre-orders of Pixel on day one this year were more than double when they were last," Pichai explained. Last month, Google acquired the majority of HTC's phone design and engineering staff for roughly $1.1 billion, which Pichai said should help accelerate the company's hardware business. Other things, like investments in marketing and sales during the holiday season, are expected to fuel growth in the hardware business. "We've been working with HTC very closely on the Pixel phones, so across the two companies, we saw a win-win construct, by which we could bring the team and the IP and other assets related to the Pixel business in-house," Pichai said. "It just made a lot of sense to do it." Pichai added that the HTC acquisition will aid Google's other hardware efforts related to VR and Google Home. Pichai threw out a ton of promising stats about YouTube, including that viewers are watching it more than 100 million hours daily on TVs, up 70% year-over-year. That includes TVs connected to internet via devices like Roku or gaming consoles, according to Recode. The company is also ramping up its investments in original content, alongside the expansion of YouTube TV, its over-the-top tv service. YouTube Red, Google's video subscription service, is slated to release 40 original shows this year. By comparison, Netflix (NFLX - Get Report) plans to release 30 original shows in 2018. YouTube TV now covers two-thirds of U.S. households and is available in 15 metro areas, Pichai said. Interestingly, Pichai likened Google's YouTube strategy to its Search business. "I think there's always been this promise on being able to be like Google Search where when you want something, we make it easy for you to find it," Pichai explained. "[We're] bringing that same kind of a seamless experience to TV, when you think about something you want to watch."